The stories of the two men who allege Jackson sexually abused them as children are detailed in the documentary "Leaving Neverland"
Wade Robson, from left, director Dan Reed and James Safechuck pose for a portrait to promote the film "Leaving Neverland" at the Salesforce Music Lodge during the Sundance Film Festival on Thursday, Jan. 24, 2019, in Park City, Utah. It's not uncommon for audiences at the Sundance Film Festival to give standing ovations, but the ceremonial act took on a solemn air as two men who accuse Michael Jackson of molesting them as boys walked onstage following the festival's only screening of "Leaving Neverland," a documentary about their stories. Wade Robson, who says Jackson abused him from ages 7 to 14, and James Safechuck came forward as adults with their abuse allegations after Jackson's death in 2009. The four-hour film, which will air in two parts on Britain's Channel 4 and HBO this spring, is a sprawling account of how their lives intersected with Jackson's at the height of his fame in the 80s and early 90s, and then later as adults when the trauma of what happened in their youth started to emerge in serious ways. In addition to accounts from Robson and Safechuck themselves, the film also interviews family members including the boys' mothers, wives and Robson's brother and sister. Jackson's voice is heard in the film, through voicemails he left for Robson and an "interview" Safechuck did with Jackson aboard his private plane, and the film also shows some of the many faxes he sent to Robson. "We can't change what happened to us. And we can't do anything about Michael," Robson said in a Q&A with the audience. But he said he hopes it makes other survivors feel less isolated and raises awareness for anyone who is responsible for children. Safechuck added that they weren't paid to participate in the documentary, nor did they expect to get anything from it. Jackson's estate sharply denounced the film Friday night, calling it "the kind of tabloid character assassination Michael Jackson endured in life, and now in death." It accused Robson and Safechuck of being "two perjurers," a reference to sworn statements they gave while Jackson was alive stating he had not molested them. Robson, a choreographer who has worked with Britney Spears and other top acts, testified for Jackson's defense at the 2005 trial that ended with the pop star's acquittal on molestation charges. "The film takes uncorroborated allegations that supposedly happened 20 years ago and treats them as fact," the statement said. It accused the filmmakers of relying too heavily on the stories of the two men and ignoring the accounts of others who have said Jackson never harmed children. The Associated Press does not typically identify people who say they are victims of sexual assault unless they come forward publicly, which Robson and Safechuck have done in multiple ways. "Leaving Neverland" has been denounced by Jackson's estate and fans since the project was announced earlier this month. Jackson was acquitted of molestation charges in 2005 in a case involving another young man. Robson testified at that trial, saying he had slept in Jackson's room many times, but that Jackson had never molested him. Safechuck made similar statements to investigators as a boy. Then in 2013 Robson filed a lawsuit that said stress and trauma had forced him to face the truth that he was sexually abused by Jackson. Safechuck filed a similar lawsuit the following year. Both were dismissed for technical reasons and a judge did not evaluate the merits of the allegations. 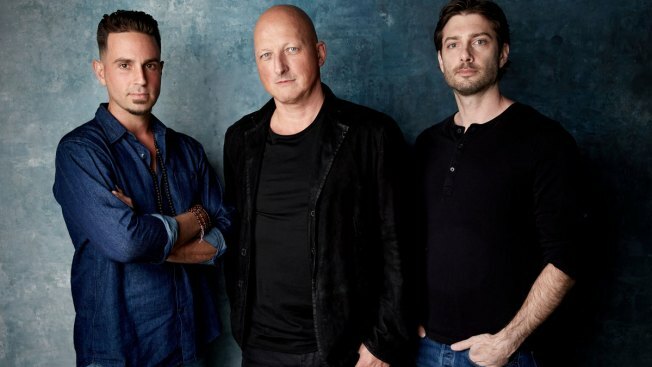 "Leaving Neverland" director Dan Reed said he was entering new territory exploring an entertainment figure, instead of his usual subjects like terrorism and crime. He told the men, who had talked to so many lawyers over the years, to just speak to him like he was an ordinary person on the street and not to worry about contradictions. He interviewed Robson for three days and Safechuck for two days before deciding that he also wanted to speak to their mothers. "I was just blown away," Reed said. "I knew we had something really big." Safechuck and Robson say that being together through the process has been incredible. "It's all we've wanted for the past six years to be able to talk, communicate," Robson said. It's just been beautiful." Safechuck added: "It was a long time coming, just connecting to someone who has been through this. It's amazing." The film has stirred up controversy since it was announced just a few weeks ago. Upon its announcement, the Jackson estate condemned it for rehashing "discredited allegations." Before the screening, there were reports that there would be massive demonstrations outside and Park City deployed extra police outside the Egyptian Theater, which is in the middle of the festival's busiest street. But only a handful of people showed up Friday holding posters with the word "innocent" displayed over Jackson's mouth. An audience member brought up the reality that there are many Jackson fans who don't believe them, and asked if they had a message for them. "I don't feel like there's anything I need to say to them, except that I understand that it's really hard to believe," Robson said. "Because in a way, not that long ago, I was in the same position they were. Even though it happened to me, I still couldn't believe. I still couldn't believe that what Michael did to me was a bad thing. We can only accept and understand something when we're ready."